UNRA Forcefully Evicts Entebbe Municipal Council Boss From Gov’t House. HomeCelebrity gossipUNRA Forcefully Evicts Entebbe Municipal Council Boss From Gov’t House. 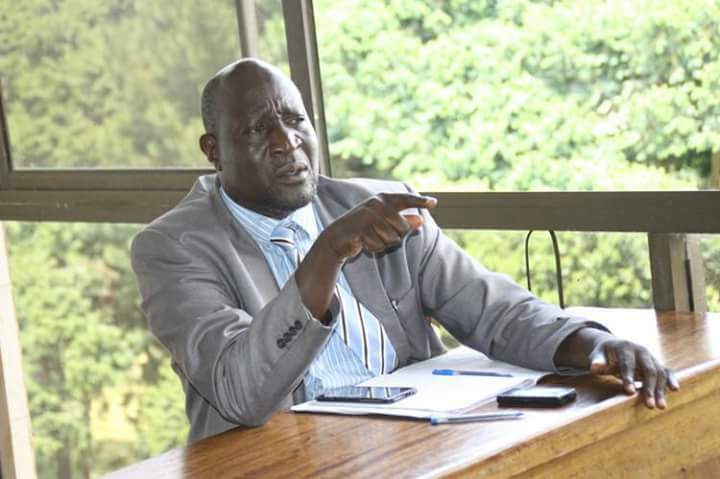 Entebbe residents on Wednesday enjoyed drama when Uganda National Roads Authority (UNRA) forcefully evicted the Entebbe Municipal Council Deputy Town Clerk Dan Fred Lutaaya from the Government House he has been residing in for the last 20 plus years. The forceful eviction came after Lutaaya refused to vacate the government house located opposite Children’s Park despite the fact that he was paid Shs163m as compensation way back on April 10, 2018 and given three months notice to vacate in good faith. However, Lutaaya has been masquerading around that he didn’t get any coin as compensation from UNRA until when an extraordinary security meeting that sat on Wednesday and which comprised of top security leaders in Entebbe including State House officials, DPC Samuel Mission, DISO Elias Nimwesiga and RDC Kirabira unanimously directed Lutaaya to vacate the government house that belongs to Entebbe Municipal Council after UNRA officials and the Chinese contractors who are constructing the Entebbe Express way unleashed documents that proved Lutaaya was paid Shs163m but he adamantly refused to leave the house. According to Mayor Vincent Kayanja DePaul, Lutaaya has been fighting tooth and nail to also get a share of the Shs298m that was paid to Entebbe Municipal Council as compensation. To make matters worse, Lutaaya hasn’t been remitting any cash to Municipal Council though he has been collecting close to Shs300, 000 as rent from each Crafts stall that has been operating at his premises. Sources that attended the extra ordinary security meeting also revealed that Lutaaya’s wife was shocked to hear that he got Shs163m from UNRA. Sources that spoke on condition of anonymity revealed that State House security officials have recommended for Dan Fred Lutaaya’s interdiction though we cannot independently verify the claims. Meanwhile, we have also learnt that Town Clerk Charles Magumba is also fed up of Dan Fred Lutaaya because of his “Buyaye” (thug) and greed. After the security meeting, Dan Fred Lutaaya took off and his whereabouts are not known.